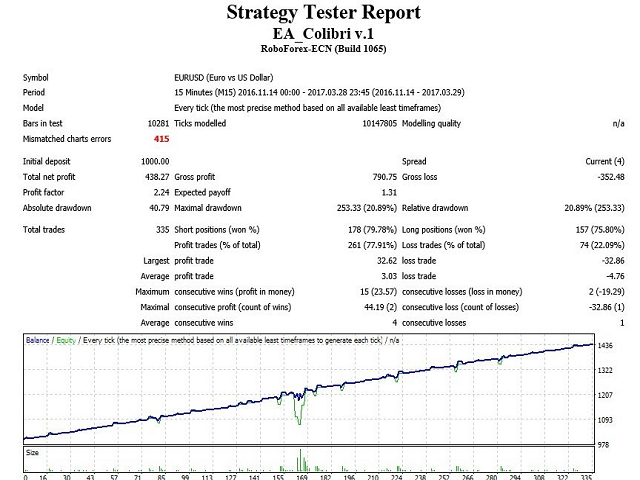 Fully automatic scalper EA. Trades are opened based on two indicators. The news filter is built-in. It is recommended to perform optimization for your broker and account type. Optimize only the settings of the indicator. Minimum deposit is 1000 USD or cents per 0.01 lot per 1 pair. It works around the clock, VPS is recommended. Start balance - deposit amount for lot calculation. Friday deals close - closing of the deal at the end of Friday. The transaction is closed without a grid. Pause after a low importance news - suspend the EA operation after low importance news in minutes. In order to activate the News Stop Trading function, enable Allow WebRequest and add “http://ec.forexprostools.com”, "https://www.dailyfx.com", "http://time.is/UTC" into the URL list for WebRequest. To do this, open Tools > Options > Expert Advisors. Check the option "Allow WebRequests for listed URL:". Add http://ec.forexprostools.com, https://www.dailyfx.com, http://time.is/UTC and click OK. The EA takes news from the specified websites. Проблема с перезагрузкой скальпера и отсутствием сохранения параметров предыдущей торговли устранена. Скальпер цепляется через сутки. Автору сигнала хочу предложить ввести параметр, как стоп торговли при достижении максимальной просадки по счёту. Данный параметр поможет минимизировать риски в торговле. Нашёл ещё небольшую проблему, робот не учитывает своп. Добавьте, пожалуйста, его учёт в торговле. Также рекомендую работу на H1. На этом таймфрейме советник лучше ориентируется на прибыль. Естественно не забывайте про оптимизацию. The ea can not stand the trend. All accounts have exploded. As another customer says if you restart the mt4 platform, the ea does not remember operations. Went pretty good in the beginning. Started with 1000 $ account and 0.01 lots. Went up to 1540 in a couple of weeks. Suddenly opened it openend to many positions, because the trend went against the EA. Went so far, that i got margin called and ended up with 15$ left on my account. I tested the water for $20 and made $135 in two weeks on minimum lot sizes, with all eight currency pairs showing a profit every day. Brilliant, so I've just paid $60 for the full product. Ildar was very helpful when I had a setup query concerning the VSL. Many other experts don't work as expected, this does. · Avoid unaffordable ranges among trending currecies like GBP or JPY. · Always keep an eye on high impact news such as interest rates decisions. This developer is really listening to improve his EA, bravo ! Not perfect yet. But it may become one day. nice ea ,alought some week loss,but total profit&gt;loss.at least worth this price.new version seem to reduce dd very much.and every new version have some improve.i special apprective this.and continue this please. Great EA, small but steady profit every day. I prefer to stay with 0.01 lots on a $1000 account and run several pairs at the same time. This way DD is controlled so far and profit increased. I have been using Colibri for over a month. I have it on two accounts with IC Markets using a VPS in New York. 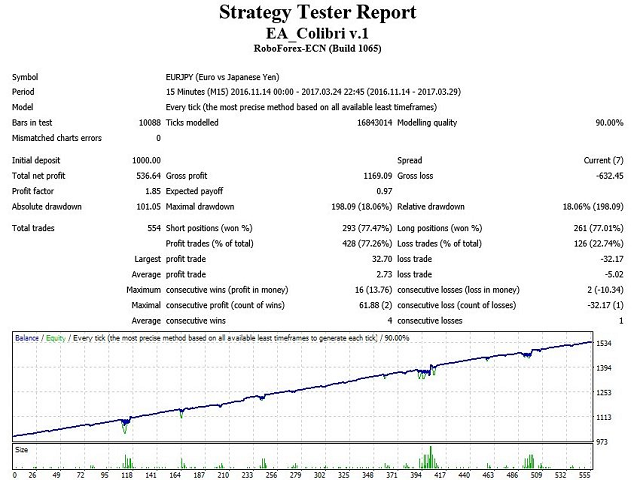 Colibri has performed well and most of the time has low drawdown and clips away at trades 24 hours a day. One account is set at fixed lot 0.03 (first week was 0.02) and has made over $400 since the start of the month (starting balance $1,000). The other account is on a fixed lot of 0.02, starting balance $1,000, and has made over $300 profit. Only once, for about two days, the first account hit a drawdown of 25%. Now drawdowns never cause the account to go below the original balance and most days they sit on drawdowns of about 5%-7% ($50-$80). I'm very happy. At the end of the month I will probably withdraw most of my original deposit and trade on the profits only. Colibri is a steady earner and has repaid the purchase price many times over. Got big DD on CAD. This is just like any other bot. It will keep adding lots until you blow the account or win. I mean i don't hate it or anything. But its nothing special. GL to all. I rate this ea for 5 stars it's because the entry method is quite precise, the martingale averaging method is good and it's profitable. I've bought the ea today and manged to recover the ea cost. Tumbs Up !!!. Very good EA, author offer swift response to questions. May I suggest to set SL and TP based on ATR ratio instead of fixed points? It could make the settings better suited to each pair. I don't often leave reviews but I felt compelled this time because is EA is really good!! One of the best I've ever used. The code is completely updated. Added the ability to trade in different directions. Added stop-loss on the news. Added: opening grid trades based on the indicator signal, stopping the opening of trades on Friday at a specified time and closing trades in a different time. Added the increase in grid spacing for N number of orders. Bug fix. Fixed minor bugs. Added time to close trades and to stop the EA on Friday. Added autolot, work on time, closing the deal on Friday evening. Added the news filter.